Carla Joan Carmona has found inspiration within her family to be successful. Born to a humble family in the southern part of Puerto Rico, Carla is cognizant of the sacrifices that have been made by her grandmothers and her mother in order for her to receive a private school education. Carla has not taken this for granted and is determined to be successful and become a voice for Latino’s across the country. Carla is a member of the National Honor Society and the National Association of Student Councils. She mentioned that after taking part in CHCI’s R2L NextGen program, she found a purpose for taking part in her extracurricular activities and is “no longer content with following” – she is determined to lead. Carla is excited to start college next fall and is anxious to explore different horizons. 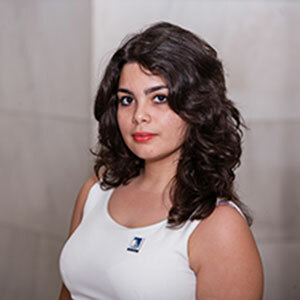 As a published author of two books, Carla hopes to major in pre-law with a concentration in creative writing and eventually attend a nationally recognized law school. In the next 5-10 years, Carla sees herself starting an organization to advocate for Latinos nationwide where she can continue to grow. Carla firmly believes that as Latinos our voices matter and should be heard. This is an issue that she would like to spearhead in an attempt to get more Latino youth involved in the political process. CHCI congratulates Carla for her strong passion and commitment towards advancing the Latino community. CHCI is proud to have Carla as part of the CHCI familia! To support dynamic students like Carla Joan Carmona and CHCI’s programs such as R2L NextGen, please visit: www.chci.org/donate.